Zapier is like If This Then That for businesses. You specify which triggers in one app cause which sequence of events in another. For example, it's a great way to send data into a solution like productboard (in the form of notes or features) when a new row is created in a spreadsheet, or a new survey result is logged in a survey tool. 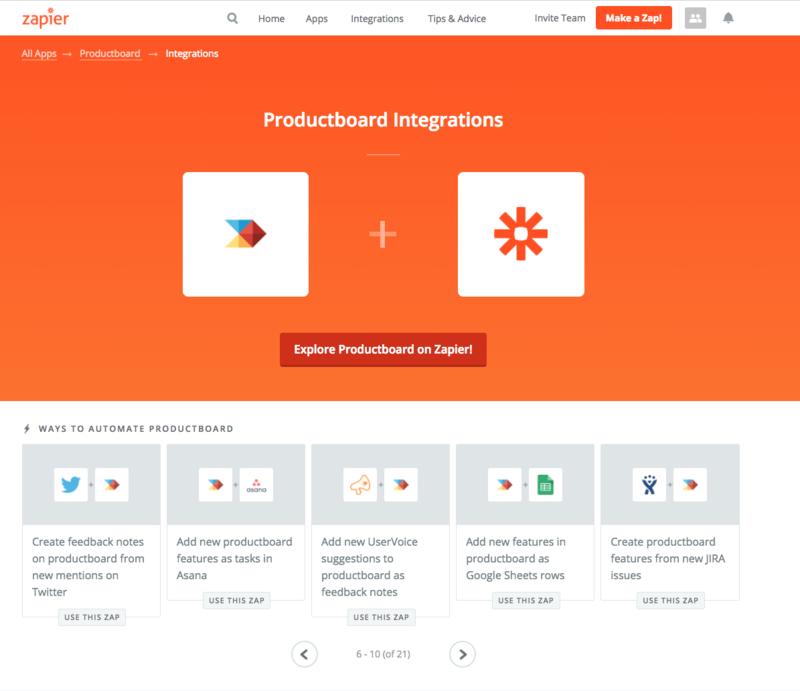 Zapier offers ready-made templates (zaps) to quickly set up integrations – no technical skills required. Get started setting up some Zaps!